A new study published by Dr. Raymond Osarogiagbon of the Baptist Cancer Center and the University of Memphis and his colleagues in the Annals of Thoracic Surgery shows that missed diagnostic testing has been the major factor in delayed treatment for many patients with potential lung cancer. 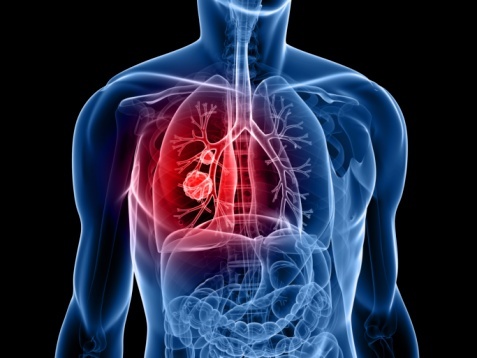 This is a dangerous situation, as the prognosis for lung cancer sufferers isn’t good. In fact, the survival rate is only 17% for the first five years after a lung cancer diagnosis. With the ultimate goal of remedying this situation, Dr. Osarogiagbon’s study was aimed at identifying whether factors associated with the delivery of patient care (or lack thereof) could be preventing more positive outcomes after a patient is diagnosed with lung cancer. The research team analyzed the hospital records of 614 Baptist Memorial Hospital patients who underwent surgery for potential lung cancer between January 2009 and June 2013. The researchers looked at how long these patients had to wait for surgery and the steps taken to determine the best course of treatment. It’s important to know that when it comes to surgery for suspected lung cancer, the patient’s doctor generally orders a combination of three tests: computed tomography (CT) imaging, position emission tomography (PET) and a CT scan, and a biopsy or other invasive test. The researchers, however, found that only one in 10 patients had a combination of these recommended diagnostic tests before their surgery. Specifically, 88% of patients did not have a biopsy or other invasive test, 22% didn’t have a CT or PET, and 27% had no diagnostic procedure at all prior to the surgery. Dr. Osarogiagbon and his team also found that it took an average of 1 1/2 to six months after the initial identification of the possible lung cancer from an X-ray for patients to receive surgery. According to Dr. Osarogiagbon, the findings of this study indicate that it’s taking too long for people with suspected lung cancer to get the treatment that can improve their outcome. Moreover, he says that crucial steps (i.e. tests) are being skipped. All of this can “cause the cancer to advance and reduce the odds of survival for the patient,” according to Dr. Osarogiagbon.